The world of midsize crossover SUVs is a vast one and it continues to expand. The Honda Pilot has consistently ranked among the best and most reliable crossovers available today. With an extended amount of interior space, unique styling, strong performance, and modern technology, the 2019 Pilot has it all. That all sounds great, but how does it compare to others like it? One way we determine the prestige of a vehicle is by comparing it to similar models. Here, we are putting the 2019 Pilot up against the 2019 Ford Explorer, a formidable competitor. To be as fair as possible, we are comparing the base models of each vehicle in our table below. 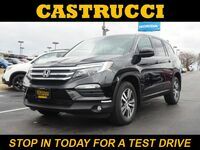 The 2019 Honda Pilot actually measures two inches shorter than the Ford Explorer, yet its interior is more spacious. With seats for up to eight people and nearly 84 cubic feet for cargo, the 2019 Honda Pilot is as versatile as it gets. As for technology, the base Explorer doesn’t even come with USB ports or adaptive cruise control, two inclusions that are standard on all Pilot models. 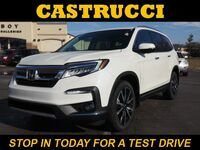 Additionally, the 2019 Honda Pilot comes standard with Honda Sensing® safety, a capless fuel filter, LED lighting, and a multi-angle rearview camera. 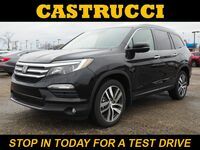 Under the hood, the 2019 Pilot comes fitted with a potent 280-horsepower, 3.5-liter i-VTEC® V6 engine with direct injection. The Honda Pilot is no stranger to luxury either. Shoppers can upgrade to higher trim levels to gain access to features like heated and ventilated seats, a wireless phone charger, captain’s chairs, and a totally leather-trimmed interior. 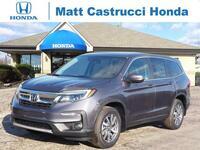 Come down to Matt Castrucci Honda to learn more about this great crossover SUV. 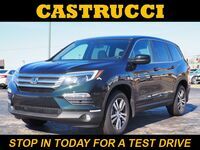 The expert salespeople here will go over everything else you need to know, and we can even get you set up with a test drive. We hope to see you soon!